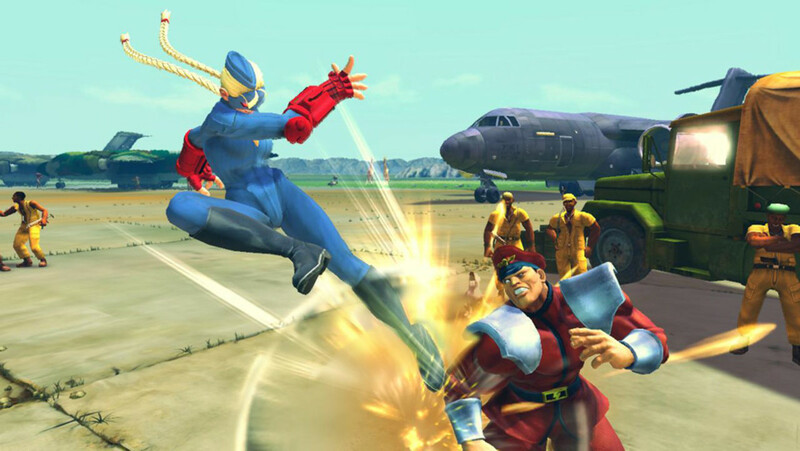 What Are Guest Characters in Fighting Games? 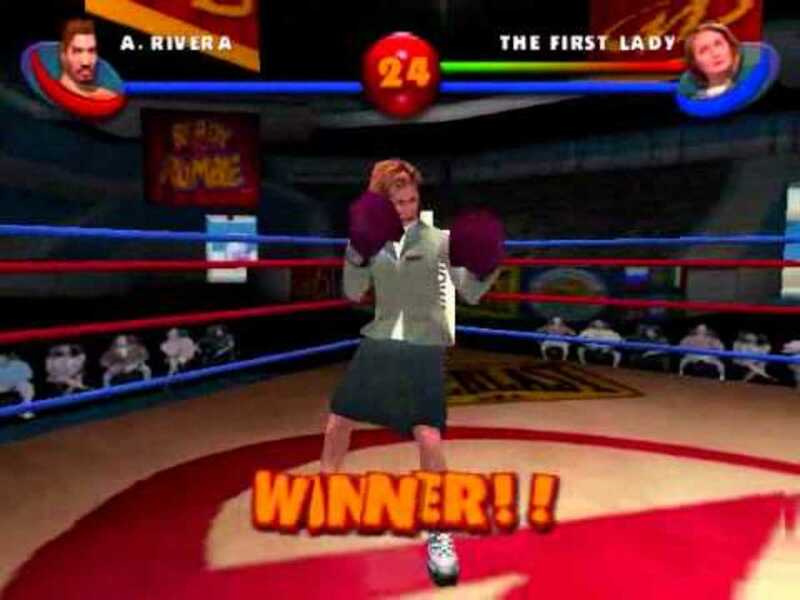 Have you ever played a fighting video game that featured a bonus character who doesn't fit in with the rest of the battlers? 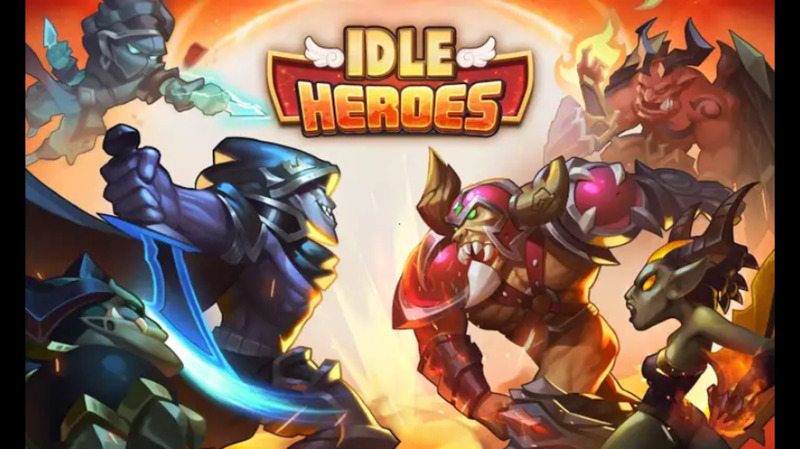 Those extra combatants are called "guest characters", and are some of the most effective advertising tools publishers can use. For example, the Soul Calibur games are full of weapon-wielding warriors, but Soul Calibur 4 also featured Star Wars characters. Guest characters can be formidable, horrifying, or (as we'll see below) incredibly odd. 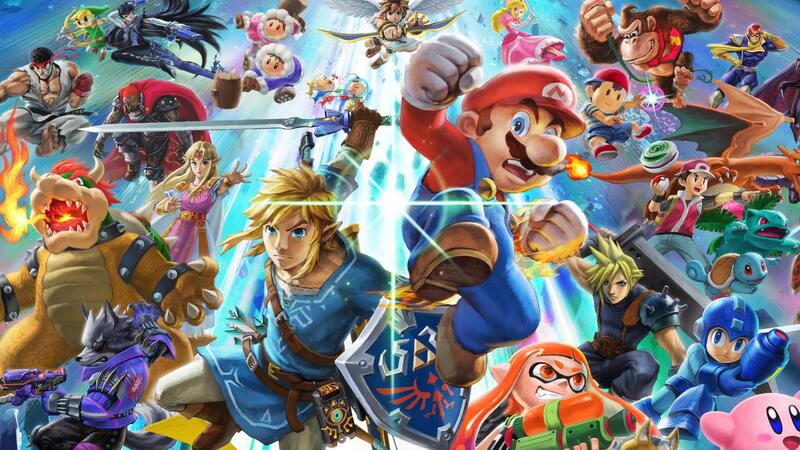 Without further ado, let's rank the best guest fighters video games have offered us! The 2009 Nintendo Wii game TMNT allowed players to beat each other up using the ninja turtles. Gameplay was similar to the popular Super Smash Brothers games, and fans eagerly awaited to see which secret fighters would be included. 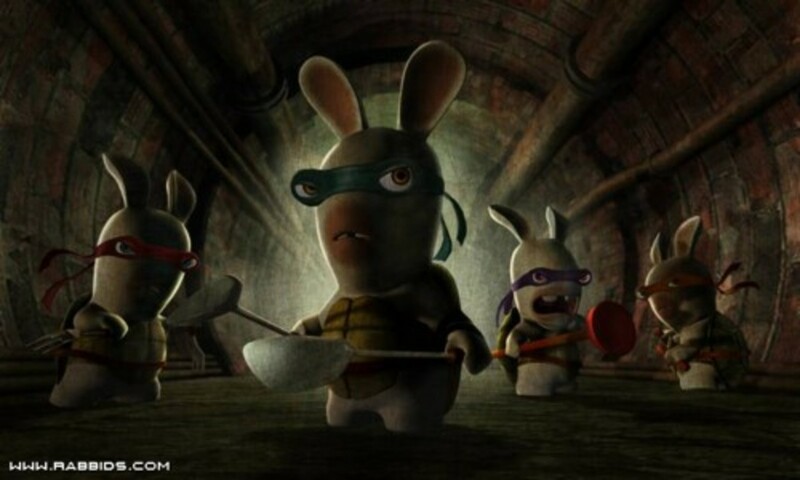 Turns out that three crazy bunnies—Raving Rabbid, Ninja Rabbid, and Splinter Rabbid—were the unlockable fighters. Not every fan was pleased by the inclusion of the insane mammals (who hail from the game Rayman Raving Rabbids), but they were a blast to play as, and offered many entertaining attacks. Update: The Ninja Turtles themselves made sweet guest characters in Injustice 2. 1998's fighting game, Ehrgeiz, knew what players wanted. 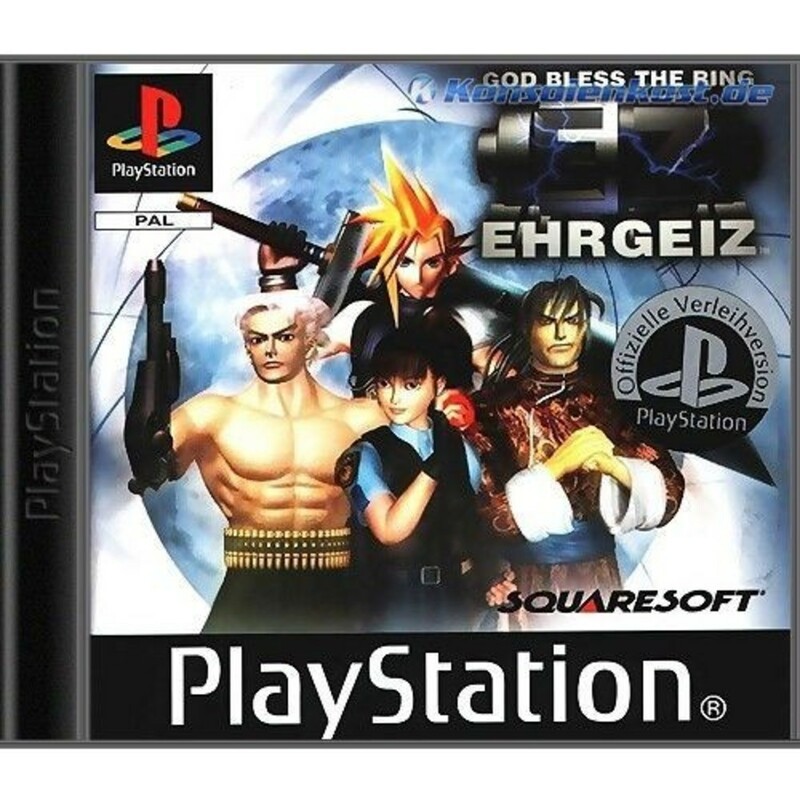 Back then, the hit role-playing game Final Fantasy 7 had just been released, and Ehrgeiz cleverly added several of its characters into the gameplay. If you ever dreamed of watching Sephiroth massacre unarmed boxers with his 6-foot long sword, this is the game for you! Although it heavily relied on its cameo appearances to attract publicity, it's a halfway decent fighting title, and features 3D combat (which was pretty rare at the time). Never heard of Cartoon Network: Punch Time Explosion? I don't blame you; the game was widely criticized, mediocre, and bland. Still, it allowed us to play as characters from shows like Dexter's Laboratory, Samurai Jack, and the Powerpuff Girls. 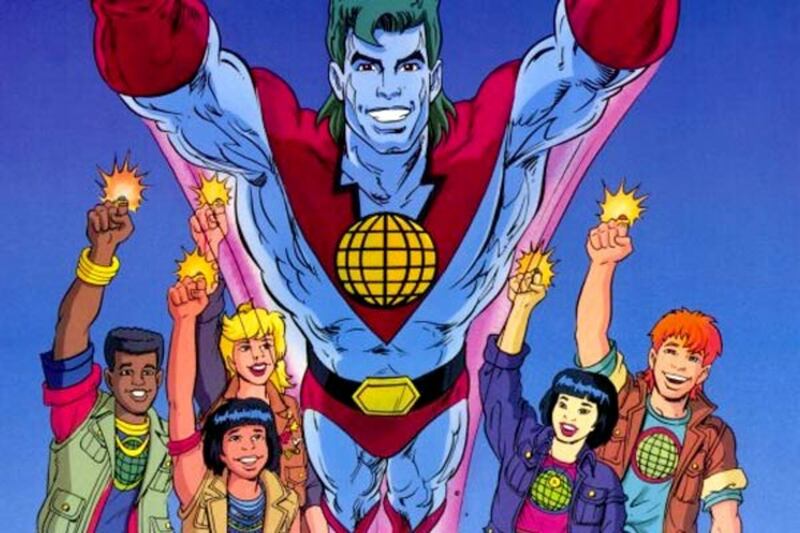 Partway through the story, the game's main heroes get themselves into deep trouble, and are saved by none other than Captain Planet, the blue-skinned hero who saved the Earth with the help of his inefficient Planeteers. Punch Time Explosion could have been much better, but its nostalgic guest character did allow for some fun to be had. We'll be seeing a lot of Soul Calibur today, as they're known for their cameos, easy to blend in since Calibur warriors wield various fighting styles (swords, lances, axes, etc.). The fourth SC offered particularly fun gameplay and an excellent character creation system. Plus, it introduced three Star Wars favorites: Darth Vader, Yoda, and Starkiller (Starkiller is from the video game The Force Unleashed). 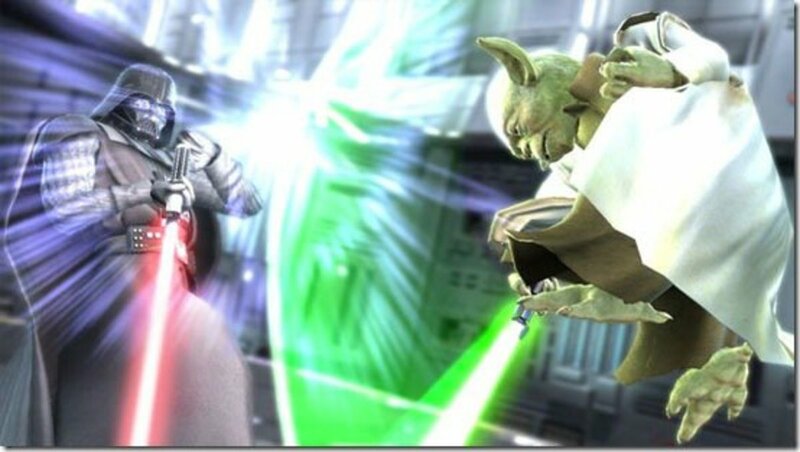 Some complained that these additions don't fit well in Soul Calibur; the games takes place in older times, and the Star Wars fighters have advanced technology. 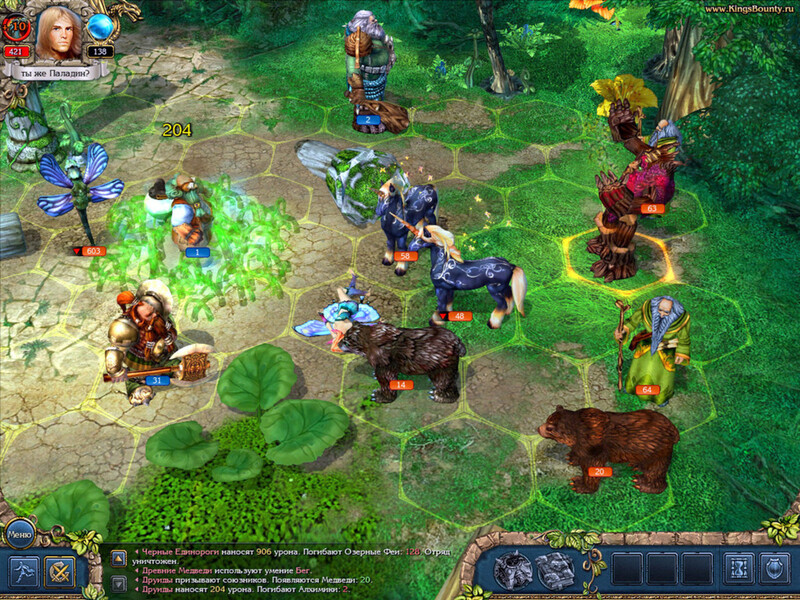 Nevertheless, playing as these Force users was a lot of fun, and added extra appeal to an already stellar game. 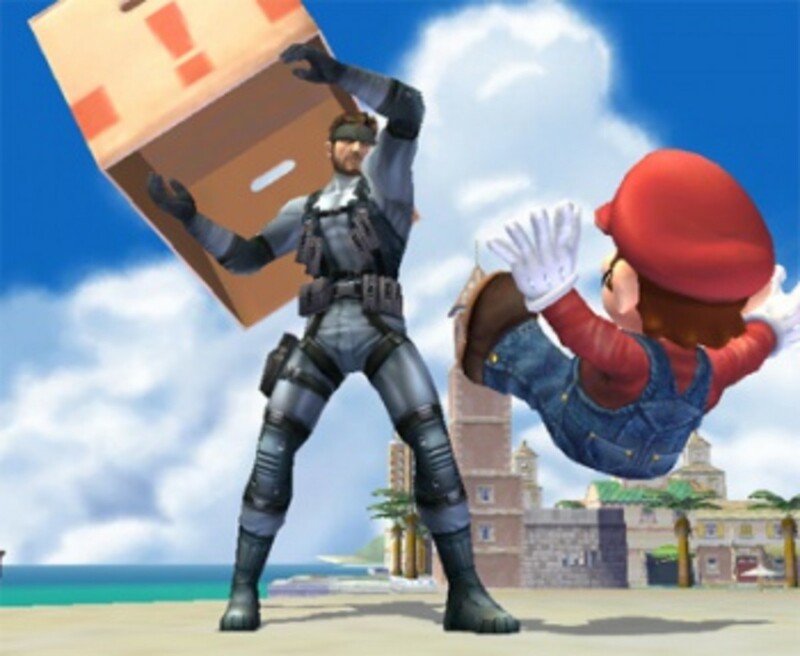 Sixth places goes to Super Smash Brothers Brawl's guest star, the government agent Solid Snake. 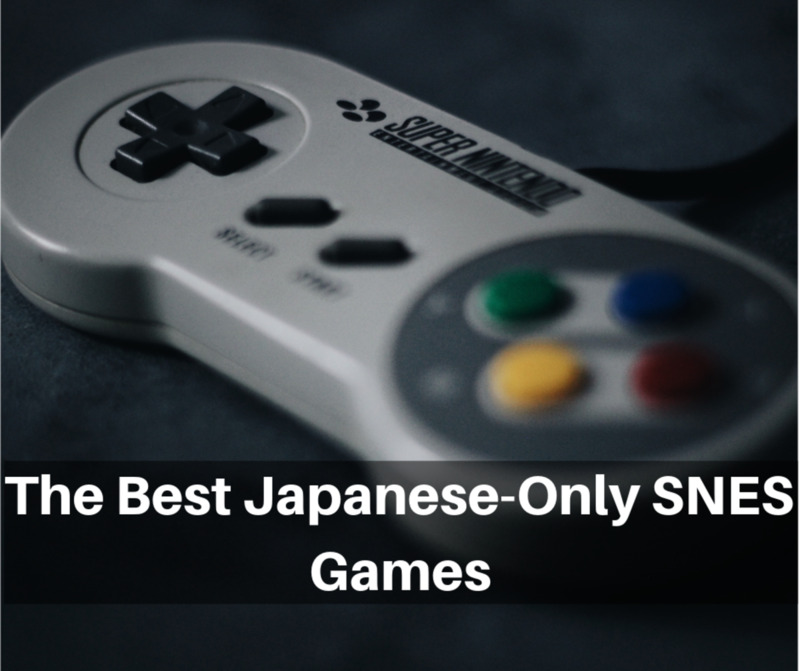 We're lucky that Snake was included; normally, only Nintendo characters make the cut in Smash Bros. Plus, Snake hails from the Metal Gear games, which possess mature ratings, meaning they're more violent than Nintendo's usual titles. To get around that issue in Brawl, Snake's regular assortment of guns and knives are removed, and he simply uses his fists and explosives. Because, you know, blowing someone into smithereens is much less violent than stabbing them. Still, Snake was a fun character to fight as; unfortunately, he didn't return in the Wii U Smash Bros (but will in Ultimate). The protagonist of several Assassin's Creed games, Ezio Auditore, takes the guest spot in Soul Calibur 5. Ezio can attack from any range. Up close, he'll use a variety of hidden blades; at a distance, he can fire a crossbow or gun. This assassin was fun to play as, dangerous to battle, and fit in well within the Soul Calibur world. 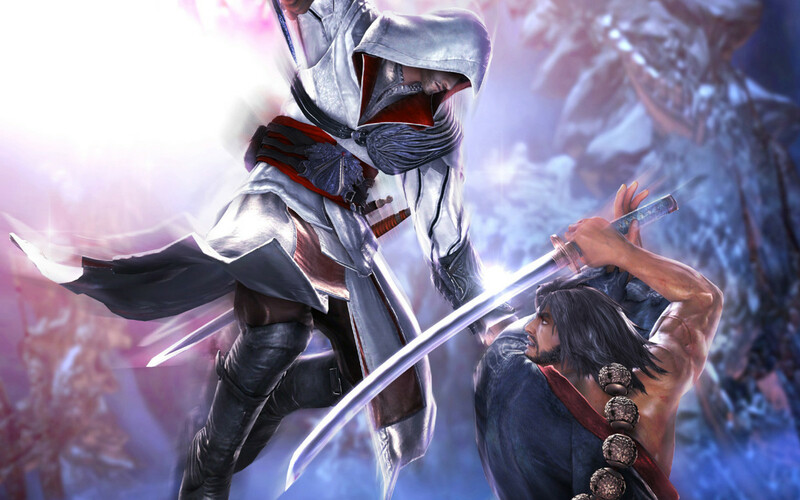 Many view Soul Calibur 5 as disappointing compared to its awesome predecessor, but Ezio remains a highlight of the title. Last Soul Calibur game, I promise. 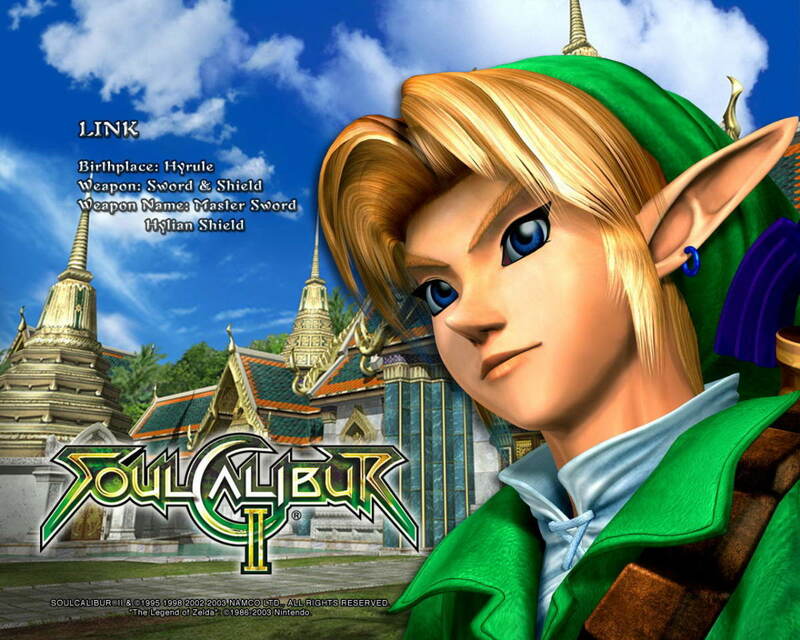 The legendary hero, Link, takes a break from his Legend of Zelda adventures to battle in Soul Calibur 2. Or at least the GameCube version of it; this title was released on the GameCube, PlayStation 2, and Xbox, and each platform received a unique guest fighter (Link, Heihachi, and Spawn, respectively). Heihachi and Spawn were fun, but not quite as much as Hyrule's hero. Link uses his Master Sword to great effect, and wield several recognizable techniques, including the Spin Attack and Sword Thrust. Additionally, Link can fight from range utilizing his bombs, bow, and boomerang. 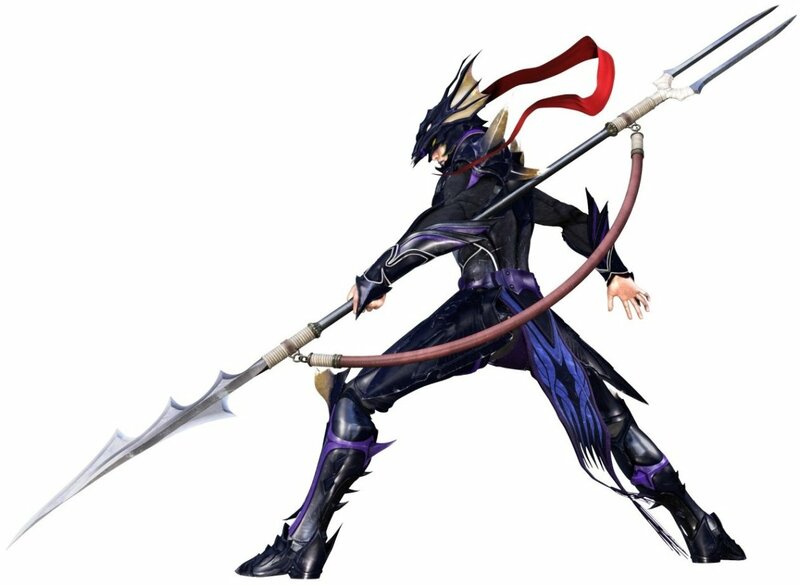 He's also got some cool unlockable weapons; for example, his Cane of Byrna can gradually heal injuries. In short, Link was deadly, fun to play as, and the reason many of us favored the GameCube version of this title. Mortal Kombat games have always been known for brutally gory finishing moves (fatalities). The ninth edition didn't disappoint, and allowed us to murder each other in fun new ways. Lovely. Fitting right into the chaos comes Freddy Krueger, a character from not a game, but a movie: the classic horror film Nightmare on Elm Street. In cinema, he can stalk and kill you in your sleep, and rip apart your body with the claw on his hand. 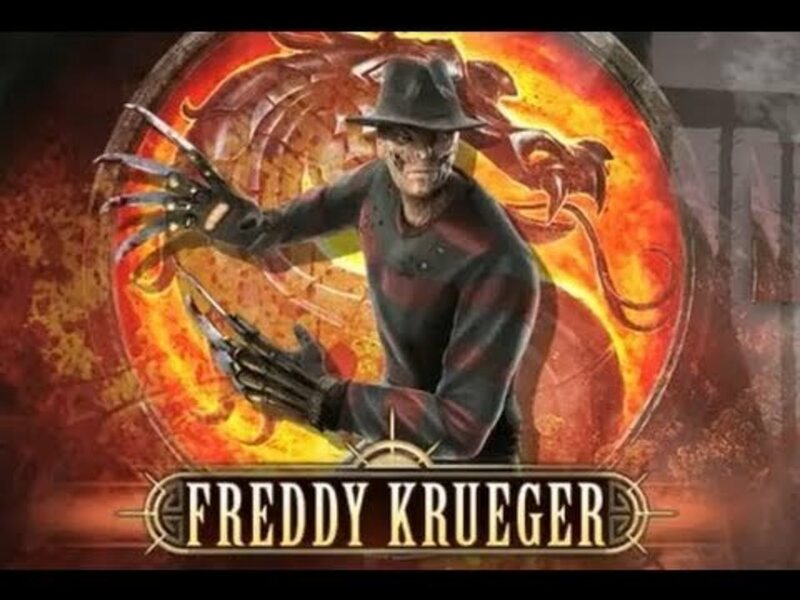 In Mortal Kombat, everyone's awake, so Freddy relies on his claw and agility to decimate foes. Freddy was an unexpected and welcome addition to the game, and easily earns third place. 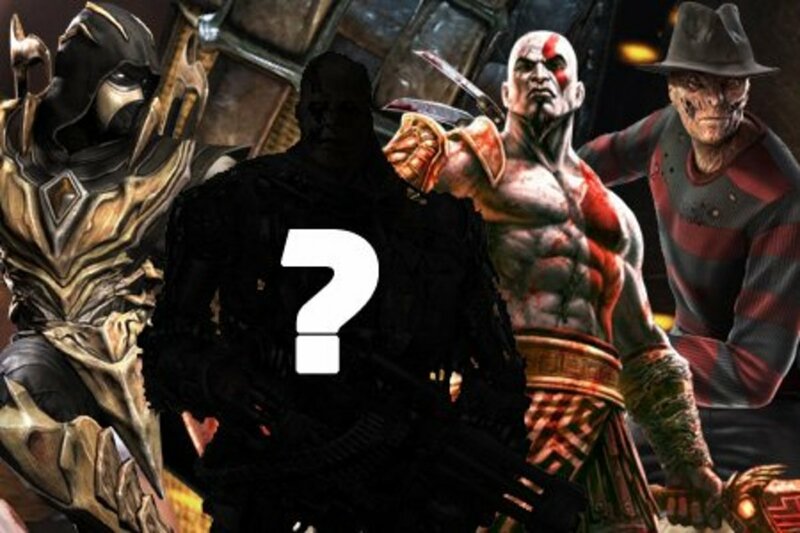 Mortal Kombat 9 also features Kratos, the protagonist from the God of War franchise, another great reason to play this title! 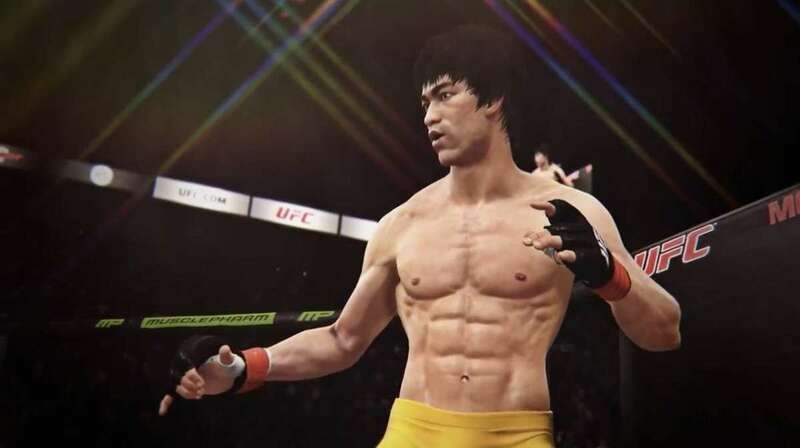 EA Sports UFC features Bruce Lee, arguably the greatest martial artist who ever lived. Bruce isn't the biggest man in history, but he may have been the most deadly considering his "one-inch punch", an attack capable of breaking through solid wood—with only a single inch of windup room. In the game, Lee fights with an agile and punishing style. Bruce can be unlocked either by buying him as DLC (downloadable content), or beating the game's career mode on hard difficulty. Fun Fact: Bruce largely stayed away from official martial arts competitions because when he fought for real, he would use any tool available to him. Eye gouges, groin shots, you name it. This made him incredibly dangerous to face, but also meant his true fighting style was banned from tournaments. That's right, today's number one spot goes to the numerous guests of Ready2Rumble 2, a fighting game featured on several systems. In addition to the normal (a term I loosely use) combatants, you can box as former President Bill Clinton, his wife Hillary, pop star Michael Jackson, and basketball player Shaquille O'Neal. This is every bit as amazing and surreal as it sounds. Hillary in particular cracks me up with her taunts, some of which you can read below. The other guests are almost as amusing to play, and the game's worth experiencing just for the hilarity of its bonus fighters. Don't just stand there, that's the Vice President's job! You'll wish you had universal health care when I get through with you! You'd think a liberal would have a better left! Which unexpected fighter(s) do you most enjoy? Well, now that we've seen some, uh, interesting guest fighters, let me know which most struck your fancy. With the exception of Punch Time Explosion, each of today's games are worthy fighting titles with enjoyable bonus characters, and I hope to see more in series like Tekken and Street Fighter. But don't just take my word for it; play them yourself and see if you agree! To see the systems and release dates for each of today's games, consult the table below.